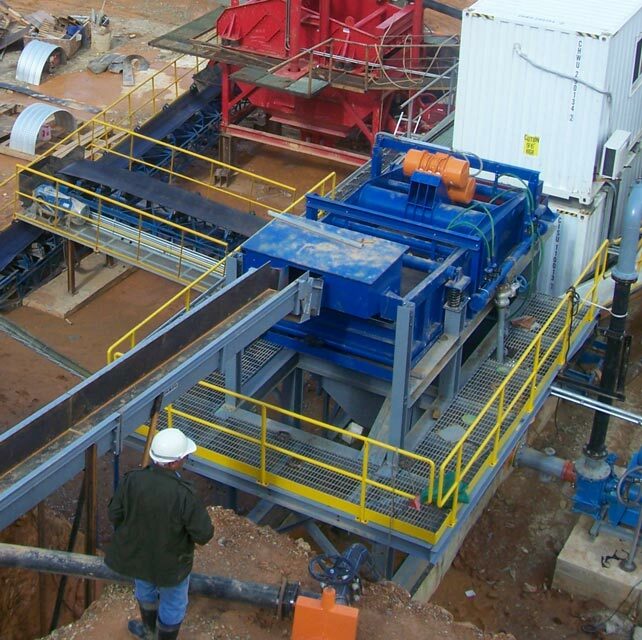 Sepro Mineral Systems will be heading to three conferences in three different countries this month to showcase the best mineral processing solutions available. If you have any questions about our equipment or how we can seamlessly integrate an all-in-one mining solution to your current or future projects, make sure to stop by! We’d love to meet you. This year’s AGG1 in Indianapolis, Indiana takes place from February the 12th to the 14th and will gather all of the top leaders in the aggregates industry. This is a joint event in partnership with the World of Asphalt 2019 Show & Conference. With Sepo on board, it’s shaping up to be a fantastic event full of educational seminars, innovative equipment (like our Blackhawk 100 Cone Crusher), and the latest aggregate tech developments. Visit us at booth #40045 where we will be showing off one of our model Tyre Drive Scrubbers and handing out FREE Sepro heavy-duty work gloves. So stop by and say hello! We’d be delighted to meet you. Next on the docket is the 4th Annual Sudan International Mining Business Forum & Exhibition or SIMFE for short. From February the 18th to the 20th, we’ll be in Khartoum speaking with industry leaders about our mineral processing equipment. Sudan’s gold production has increased steadily since 2011 and is on track to be Africa’s leading gold producer this year! The country has a vibrant mining sector which Sepro is proud to be a part of. Check out the details for SIMFE, and we hope to see you there! Our last event of the month is a little closer to home. Right after SIMFE, we’ll be in Ontario for the OSSGA & AGM 2019 Conference from February the 20th to the 21st. The Ontario Sand Stone And Gravel Association is a not for profit association that represents over 280 aggregate producers and suppliers. They work with local communities and government officials to promote a safe and competitive aggregate industry within the province. As Canada’s largest supplier of mineral processing and aggregate equipment, we are excited to be attending this year’s event. If you’re in Toronto, stop by the Hilton Hotel to talk aggregates! So come out and see us! We enjoy connecting with members of our industry and showing how we can make a difference in aggregate and minerals projects around the world. With offices in 94 countries, we’re never too far away. If you can’t connect with us at one of our February events, make sure to send our mineral systems experts a message. Want to stay up to date with all the latest industry news and trends? Sign up for our newsletter!